is a small parish in Hales Corners ,Wisconsin. 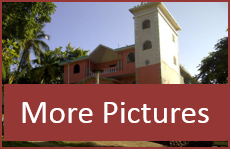 Over 17 years ago, St. Mary began a parish twinning partnership with Our Lady of Perpetual Help in Latboliere, Haiti to enhance the well being of the people of the region and provide much needed direct aid. Over the years the members of St. Marys through their “Haiti Committee” have traveled to the region on an annual basis, delivering aid and providing resources to solve immediate problems while developing deep ties in the community. Those deep ties allowed the Haiti Committee to learn from the residences of Latiboliere how to best work together to respect their culture and encourage their self determination to address the most urgent needs of the community. The St. Mary Committee was set up in Latiboliere as a partner with the Haiti Committee in Hales Corners in order to determine what the people in Latiboliere felt would be most helpful and to coordinate with the Haiti Committee in the US to provide the needed aid and resources. Through this collaboration, the parishioners of St. Mary have generously supported initiatives that assist people of all faiths in the Latiboliere, such as funding a sewing school, a small production coffee business with beans harvested by the women’s club in Latiboliere, paying for training for midwives which resulted in a lower maternal morality rate in the region, supporting the salaries of teachers in the grade school and much, much more. It is from this tradition of partnership and service to those who live in Latiboliere that Trinity Humanitarian Works was born. We work in conjunction with Haitian-Americans and Haitian-Canadians who have immigrated from Latiboliere and still have family in the region. Through this partnership we work with WADDELL, a local committee of people in Latiboliere who are working with us to strengthen and build the community through projects in health, education and economic development initiatives. Having local partners in the community ensures the entire community is represented and helps eliminate barriers due to language and customs. It also opens up a wider range of community projects prioritized by the community as needs change. Our efforts are 100% volunteer supported– no one earns a salary. This allows us to have over 97% of the funds we raise to go directly to projects that support the people of Latiboliere. We welcome people of all faiths to join us in our efforts, and encourage them to visit Latiboliere and experience the beauty of this land, and her people.